Ericsson TV & Media provides the digital and coding services that sit at the heart of major broadcasters, including SKY and the BBC. Their technology and compression business enables consumers to view on-demand and live streaming of content, regardless of time, location or device. This allows broadcasters and advertisers to connect with consumers, unlocking new revenue streams. Ericsson TV & Media created a leading-edge experience centre to demonstrate and bring to life their technology for customers and prospects. 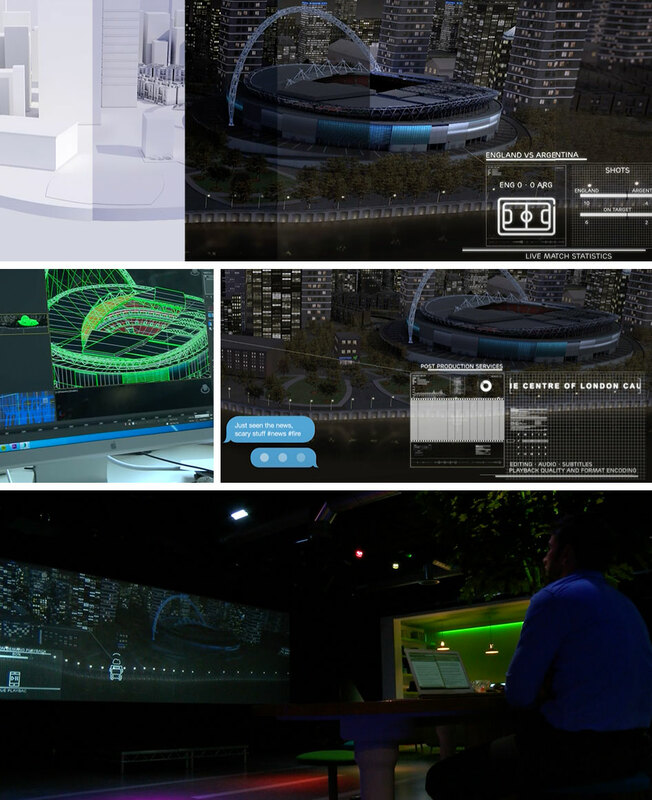 As part of the Ericsson experience centre there are a number of ‘experiential zones’ where different technology can be demonstrated. Ericsson were looking for a way to tell the complete story of their technology in a powerful, informative and engaging way; firmly positioning them as the technology and services partner of choice for the broadcast industry. A huge triple projection screen measuring 2.5m high by 10m was installed along one entire wall of the experience center. The screen was used to project a high impact five-minute AV experience in 4k HD, transforming the room into a series of real-life experiences, bringing to life a highly impactful, benefits-led technology story.